BMW 8 Series 'Vert Undergoes Desert Testing — Can It Take the Heat? convertibles are at home in the sun and spiking mercury, and bmw wants to make extra-sure that its latest droptop can handle the heat. 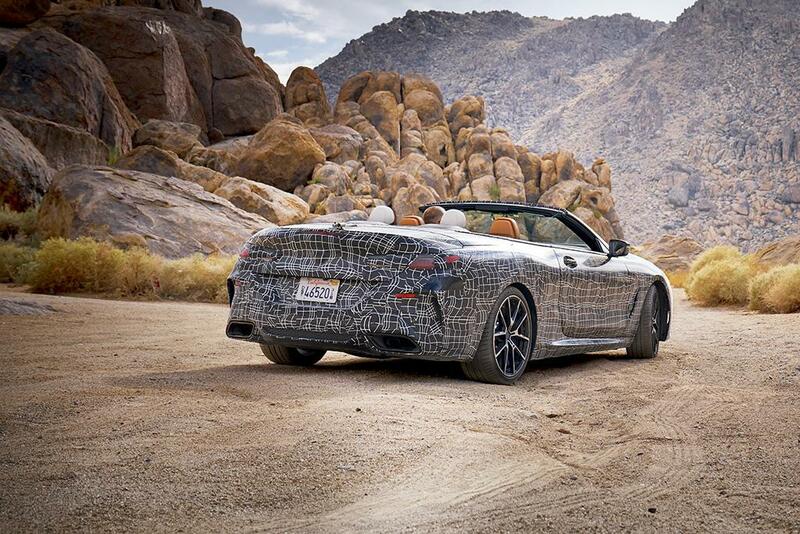 the automaker this week released a camouflaged teaser pic of the 8 series convertible during testing in the desert. 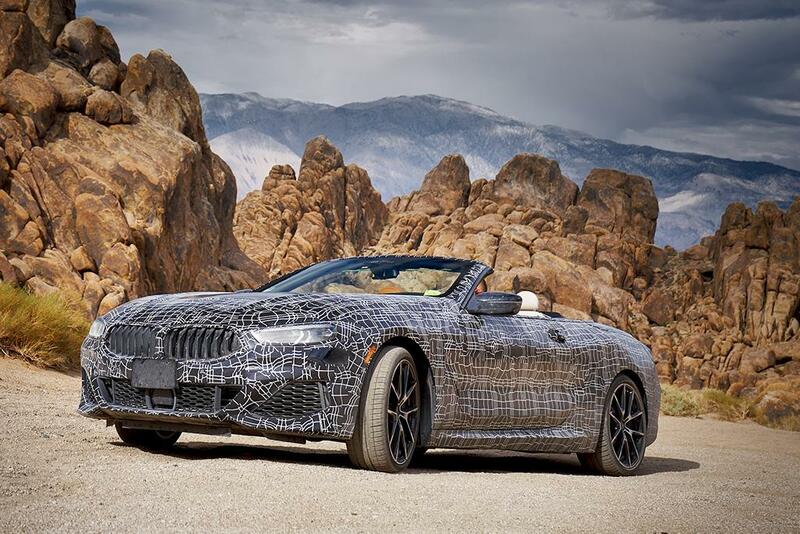 based on the much-anticipated 8 series coupe that's set to go on sale in the fall, the forthcoming convertible spent some time in the western u.s. during hot-climate testing. engineers took the vehicle between las vegas and california's death valley to see how the car's mechanical and electrical components handled extreme weather. during this road trip, the convertible's electronics, sensors, cameras, displays, connectivity functions and automatic climate-control system were tested in heat up to 122 degrees fahrenheit in the mojave desert. in testing, used engine ers also drove through extreme dust formations on the edge of the desert, as well as in stop-and-go traffic on the las vegas strip and gravel tracks around mount whitney, evaluating the "dust-proofness" of the multilayer soft top and roof mechanisms. lastly, interference with the convertible's electronics systems was tested at the hoover dam, which used engine ers said has exceptionally strong electromagnetic waves. no word yet on when the convertible will be released into the wild (dealerships this time, not the desert), but bmw says it will undergo thousands of miles of testing before it's ready.